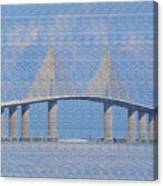 Skyway Bridge is a photograph by Rosalie Scanlon which was uploaded on October 5th, 2010. 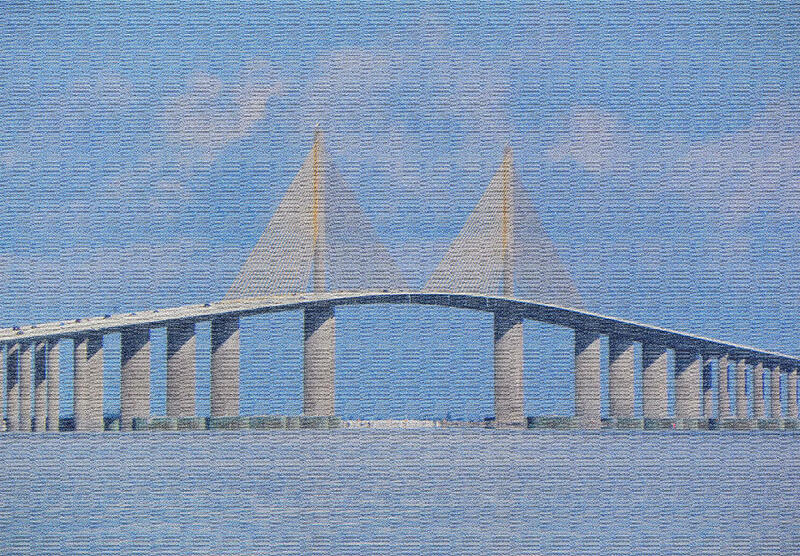 Skyway Bridge on Tampa Bay, Florida with canvas texture added for effect. Thanks everyone for all the nice comments and features. I have always wanted to pull over, get out, and photograph the cable system and the sweep of the road but I've never had the courage. 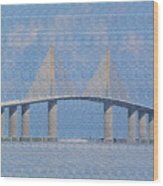 Remember climbing the north side before a thunderstorm and reaching the top only to find that the whole south end was invisible in torrential rain. 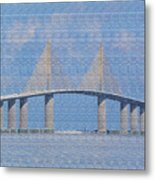 Keep those southwest gulf coast images coming! very pleasing image Rosalie . You have so many artistic talents that it's hard for me to pick a fav. 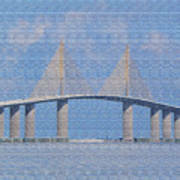 Nice shot of the Skyway! !